One column WordPress themes are a modern and clean approach to WordPress websites that makes for a very easy and pleasing reading experience. One column themes are minimal, and typically let you place your main posts in a single column with additional widgets, sidebars or tabs for navigation to other parts of the website.The effect is a wide, clean website that offers a fluid reading experience across all devices. Many paid and free one column WordPress themes are available, and some of these can be customized to two or three column layouts as well.You may also see Minimalist WordPress Themes. 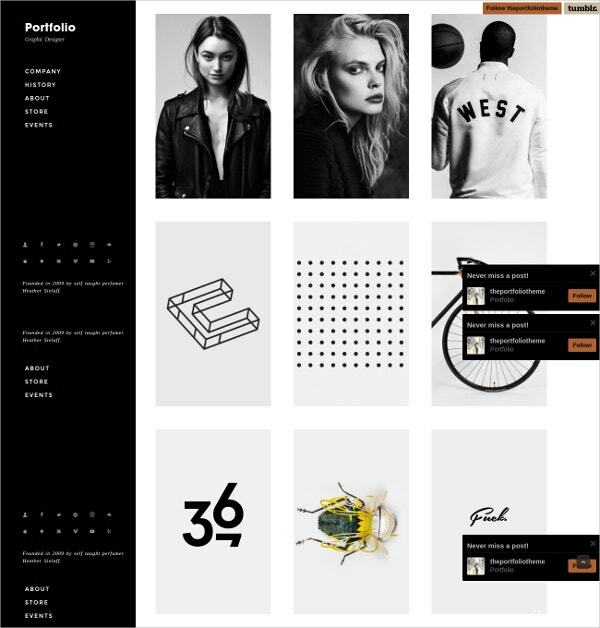 The Portfolio theme is a minimalist black and white theme with plenty of white spaces for easy viewing. It offers dozens of customizable options for spacing, fonts, color, placement of images etc. and you can include social media icons or render images with vintage styles. 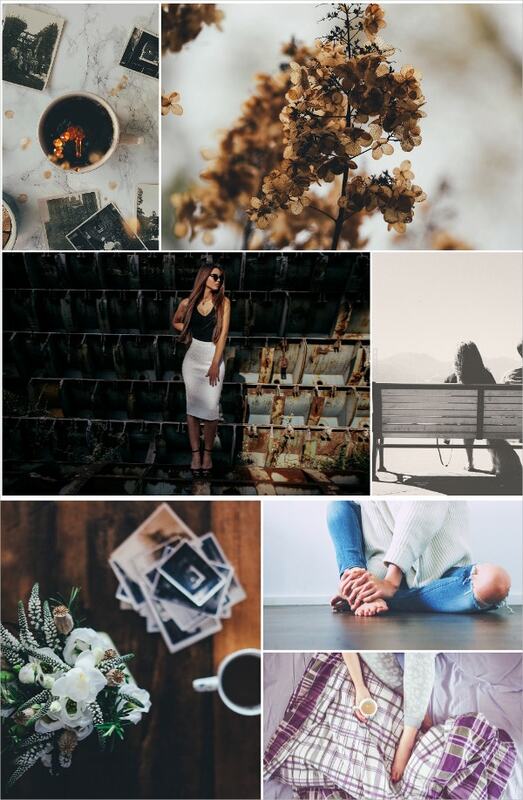 The theme automatically calculates post length and makes it rectangle for a pleasing symmetry.You may also see Social Media Themes. 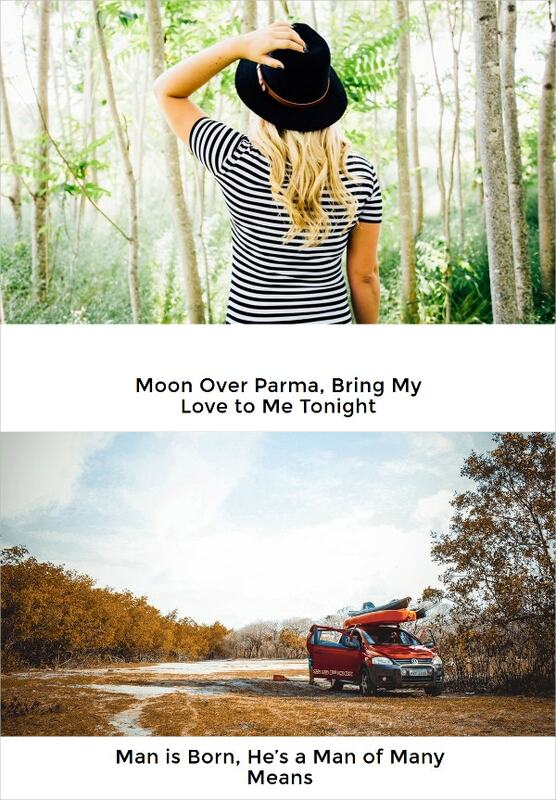 Singkarak is a simple and attractive one column theme that is fully customizable with unlimited colors and shortcodes. It lets you build a sleek personal blog with support for WordPress post formats like gallery grid, gallery slideshow, audio, video, etc. It lets you create a responsive website with advanced typographic options, Facebook open graph integration, translation-ready features and more.You may also see Custom WordPress Themes. Primer is yet another black and white image-heavy theme with a beautiful sub-header and the flexibility to choose your own colors. Features include Disqus comment, over ten layout options to customize your website, lightbox plugin, mobile layouts, multiple options for formatting styles, pagination or infinite scrolling and other modern elements that can make your blog stand out. 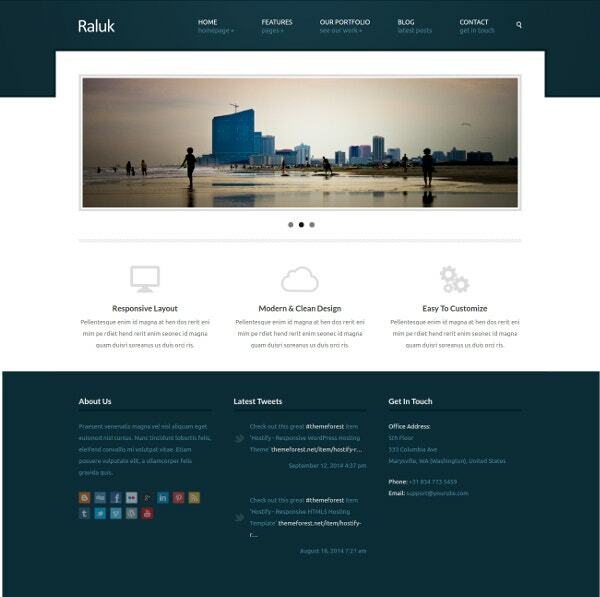 Raluk is a one column responsive business theme with plenty of customizable options. Features include six color styles to personalize and brand your website, flex slider for mobile friendly use, custom options and shortcodes, custom post types and widgets, translation ready and more. It also lets you format the layout in a three column style. Narcissus is a simple and clean blog theme with a single column layout. It can be customized to use for personal blogs or business use. 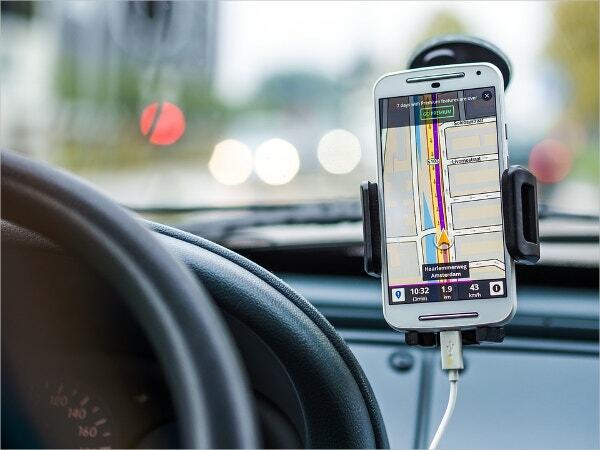 Features include a custom header with logo, custom menu bar, MailChimp integration, icons at the footer of every post, automatic scaling of photos in the post, related posts widget, Instagram feed, smooth scrolling, customized comments and quotes section plus more. Moderner Mobile Retina, as the name suggests, is a mobile-friendly, retina ready theme that is packed with features for customization. The theme comes with six custom page templates, 25 settings for the custom theme options panel, 22 shortcodes, contact page, custom CSS rules, logo upload, Favicon and more. It includes Google fonts and can be customized to two or three column layouts as well. 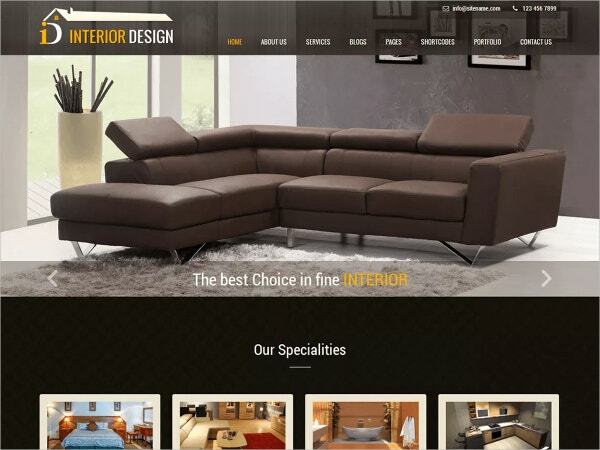 Interior Lite is a simple modern theme designed for businesses in the interior decoration industry. It is a one column theme which is ideal for businesses to showcase their portfolio and work. It can also be customized for industries like food and drink, construction, carpet cleaning, hotel and others. Features include custom colors and custom menu, sticky post, threaded comments, theme options, right sidebar and translation ready. 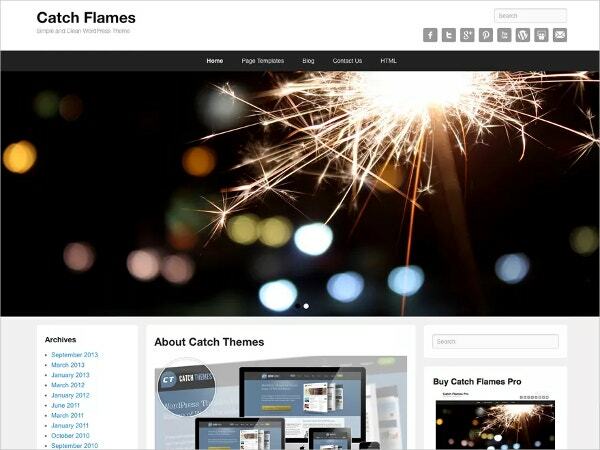 Catch Flames is a lightweight and clean theme that has been built with HTML5 and CSS3. It comes with a theme options panel and includes features like WPML and JetPack ready, two column style, wide spaces and luxurious typography, custom colors and custom background, flexible header, front page posting, left sidebar, microformats, RTL language support, sticky posts and more. 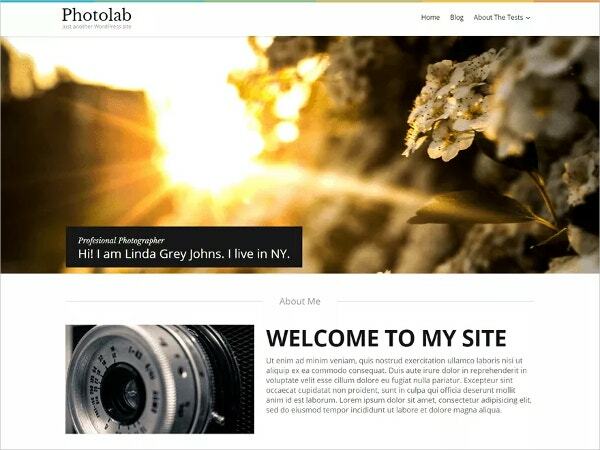 Photolab is a free theme, but that doesn’t mean it is any less the than paid themes on WordPress. This theme uses a flat design and offers a modern, clean template for creating an engaging blog. Features of the theme include custom menu, custom background, fluid layout, one column, sticky posts, post formats, full-width template, translation ready and more. If you want, you can use the two column layout instead of the single column layout. 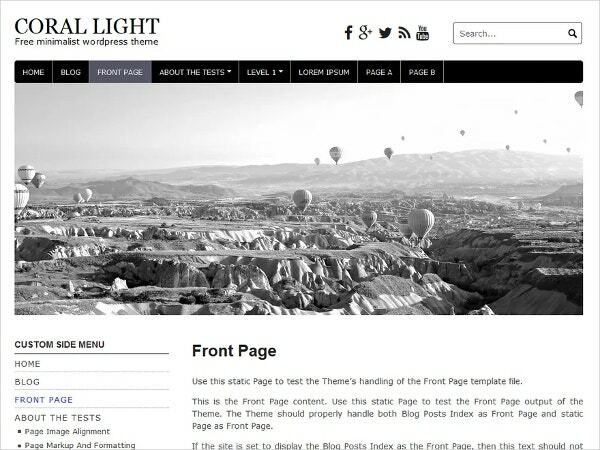 Coral Light is a white, attractive theme with a responsive, mobile-friendly layout for creating modern websites. It comes with features such as one column or two column layouts, built-in slideshows, custom background, custom logo and menu, editor style, left sidebar, photography-friendly layout, threaded comments section and translation-ready features. The theme is suitable for blogging as well as businesses. 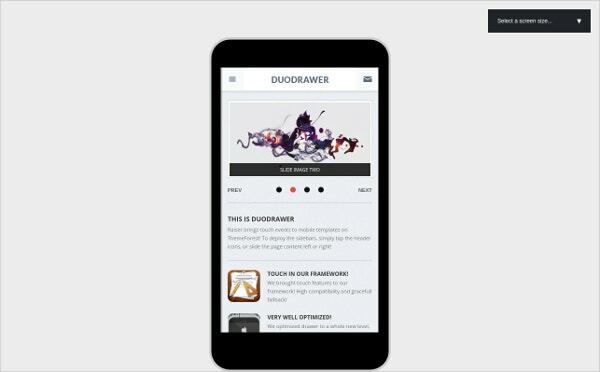 DuoDrawer Mobile Retina is a modern theme designed for mobile devices. It is feature-rich and includes features like 6 custom page templates, 25 custom options in the admin panel, over 22 shortcodes, Favicon, contact page, logo upload, SEO settings, Splash upload, and plenty of demo content for a quick start. It is built using CSS3 and jQuery for tabs, notifications, and image sliders. 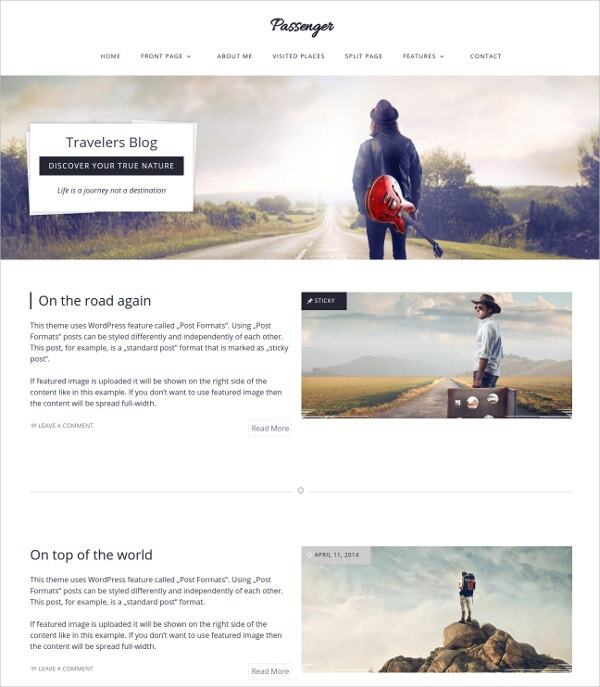 Passenger is a travel website theme with a clean and responsive layout plus features that make it highly suitable for a travel blogger or travel company. Features include Jetpack support for displaying different sidebar content on different pages, WooCommerce support when you want to sell travel related products, Soliloquy slider to include images in a modern, attractive way, widgetized static front page, WordPress port formats feature, WordPress theme customizer and more. As opposed to 3 column blog templates, one column templates are minimalist and modern. These templates are ideally used for magazines and blogs, but they may be also used for businesses and professionals looking to create portfolios and showcase their work with clean and modern aesthetics. One column themes on WordPress can be easily customized to suit all types of uses.